Trinity Windows Conservatories & Roofline LTD - Fascia/Soffits/Guttering, Windows/Doors/Conservatories based in Silverdale, Staffordshire. 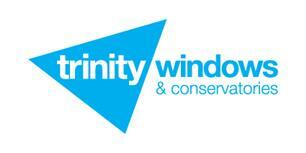 Trinity Windows Conservatories & Roofline Ltd is a small family run business based in Newcastle under Lyme specialising in the supply and installation of high quality, made to measure, PVCU Windows, Doors, Conservatories and Orangeries. Trinity was established in 2001 and it is still trading strongly thanks to our strong reputation of professional service and competitive prices. We have achieved success over the years through excellent customer satisfaction which has created a high volume of recommendations. Trinity has never believed in the high pressure sales tactics used by some PVCU installers. We believe in an honest approach with an honest price! Trinity Ltd is very unique in that we don’t use any high-pressure sales techniques or gimmicks to secure business; instead we believe that our customers deserve to talk direct to the business owners for complete peace of mind.